PromoBall foam stress balls are squeezable, bouncing foam balls with a smooth surface (2 and 3/4 inch in diameter, about the size of a tennis ball), imprinted with your name, logo or message. How to submit your artwork? Overstocked ball colors, overruns & seconds. 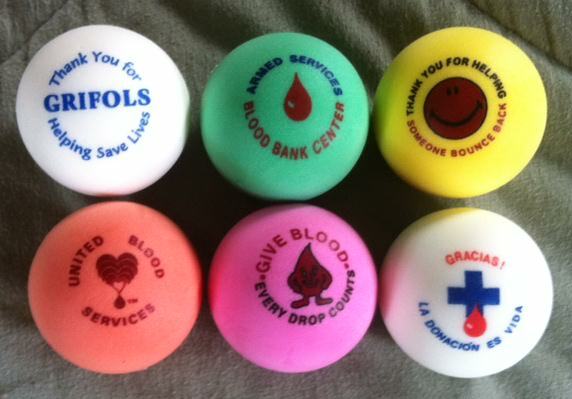 Prices as low as 25 cents per ball on orders of 550 stress balls or more. Top rated foam PromoBall stress balls are used by many health organizations as a stress relief tool, for hand or exercise therapy, or as ball squeezers in blood donor rooms / IV balls. Top rated PromoBall foam stress balls are also perfect for marketing drives, trade shows and event giveaways, or a fun way to recognize employees and sponsors. We were looking for a low cost promotional "giveaway" to use at health fairs and other community events that would appeal to all age groups. 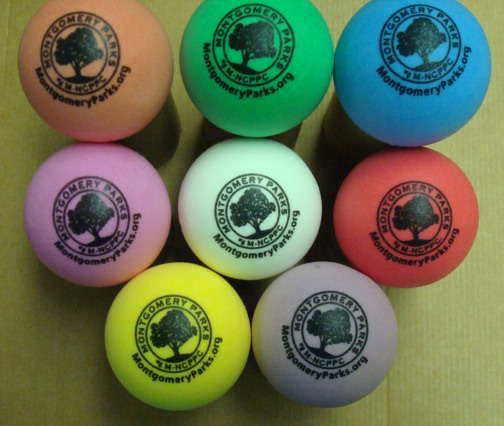 The squeezable foam stress relief balls from Tension Relievers fit the bill. Kids loved them; teens juggled them; adults grabbed them. But we were VERY surprised when older adults sought us out at a city-wide event. We didn't realize it then but soon found out the stress balls are great as hand exercisers for those suffering from arthritis! Who knew? I would recommend this item to anyone wanting to appeal to any and all age groups. The staff at Tension Relievers are very helpful and make the whole process easy. 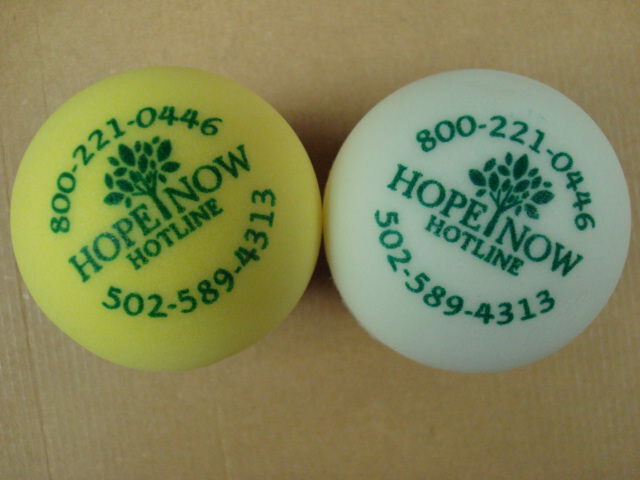 We had our logo and phone number printed on the stress balls and the 5,000 ball order was delivered when we needed it. Talk about a stress reliever! (Can be used for Physical Education classes, hand or exercise therapy, indoor play, or practice of tennis, volleys, etc). Available in: Yellow, Blue, Green, Purple, Orange, Red, Pink, and White. 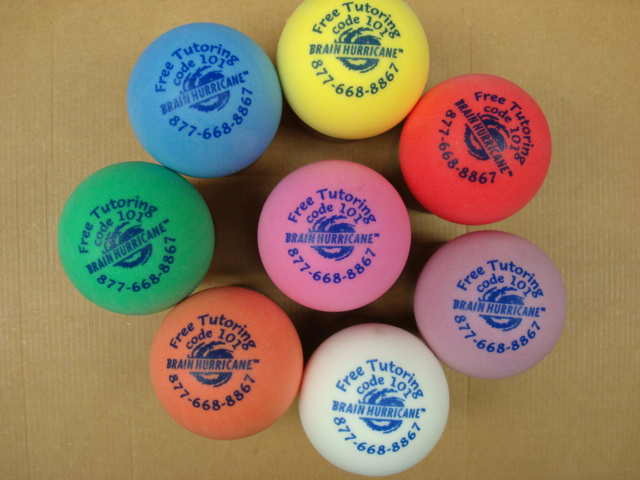 PromoBall foam stress balls are used by many health organizations as a stress relief tool, for hand or exercise therapy, or as ball squeezers in blood donor rooms / IV balls. It's also used by tennis centers around the world for safe practice against any wall. PromoBall foam stress balls are a highly cost effective promotional tool that is among the best value in the industry. Rush service is available to solve your last minute promotion crisis with style. If PromoBall stress balls don't fit your needs, contact us regarding other shapes of foam stress balls, lapel pins, travel mugs, etc. Also known as a foamball or foamballs. 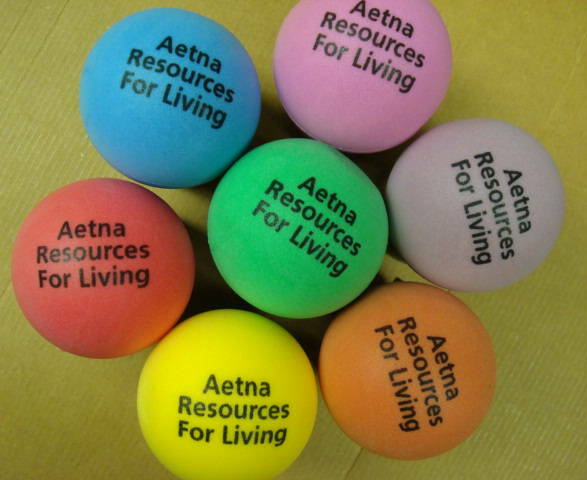 PromoBall stress balls are a great way to make your next stress ball promotion a success! We have the lowest prices on foam stress balls anywhere! We do volume orders only, but there is no charge for mixing colors. 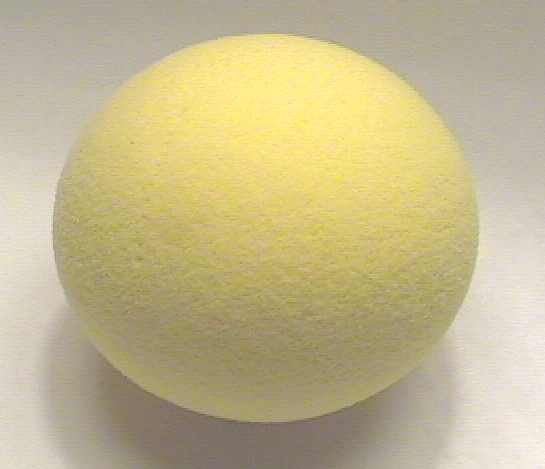 ASI Suppliers, Wholesalers, Jobbers & Screen Printers can now buy our Blank Foam Balls and Stress Balls in the USA, instead of having to wait for imports to arrive. 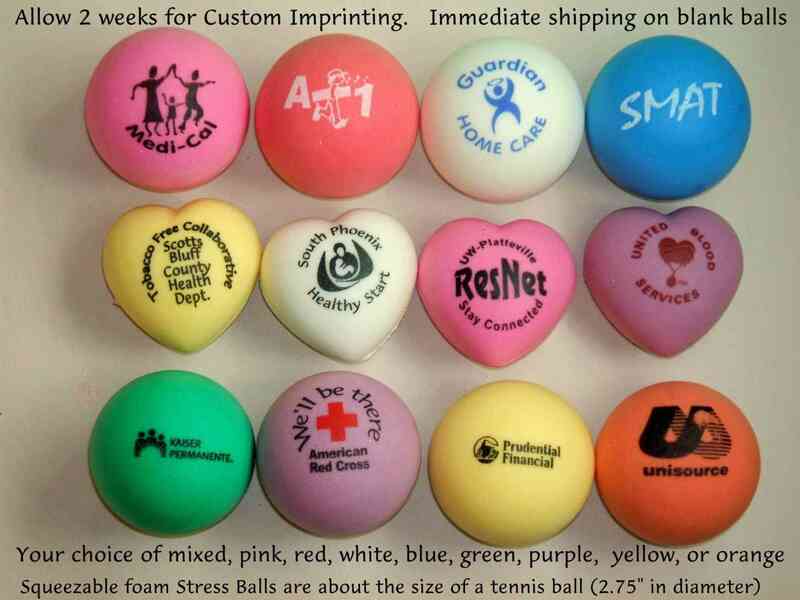 Check out our Promotional Imprint Catalog of Stress Balls, Blank Foam Balls & Foam Squeezies! 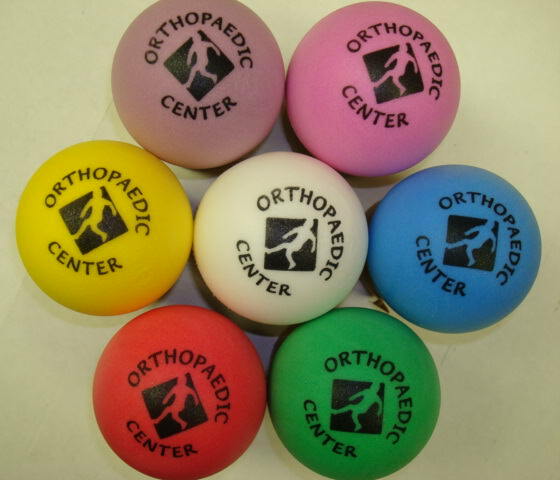 I work for a Pediatric orthopedic group and the foam squeezable stress balls with our logo on them have been a HIT! I have been receiving these stress balls from this company for a few years now and we always ordered the blue color ones. until recently when I ordered the multi-colored ones. What a HUGE hit with the kids! We give the balls & to kids just coming out of an arm cast to use as hand exercisers to work on strength and to entice the little ones to walk down the hallways to check the gait. 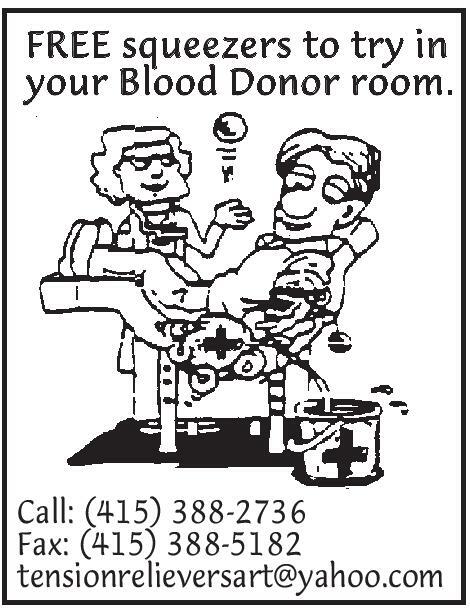 Our physician love them as well. Great service that really helped me out in a jam! I need 100 stress relief balls delivered ASAP during the 4th of July week. I was so amazed at how accommodating and quick the turn-around was even when my contact was on vacation. He made sure that the shipment went out and my event went on without a hitch! During our event, when we agreed with someone, we threw the balls in agreement at the person. Great way to get a point across and keep the mood light in the room. Tension Relievers are my stress relief and go to company for their awesome product! 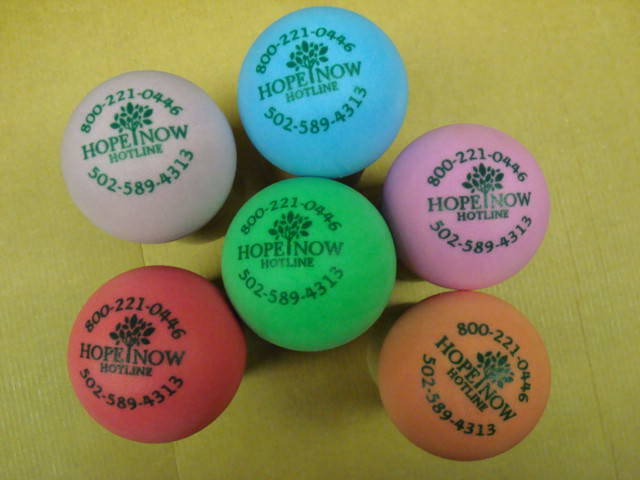 Tension Relievers and Promostressball is our go to supplier when it comes to stress balls. We have had a working relationship with them for over 10 years. They are committed to excellence, attentive to details, and believe in on time delivery. To a distributor, this is good as it gets! We are so pleased with the wonderful service from Tension Relievers. Superb service, quick response time , professional demeanor and always go the extra length to make ordering easy! We have been using your stress balls for over the past five years and we wanted to let you know how much we love them. We are a Chrysler Dodge Jeep dealership in a small, tight-knit community. Every year we participate in the annual 4th of July parade and toss out the balls from our float as we caravan thru town. We are the only parade participant that gives away anything other than candy and I will tell you that we are the ‘hit of the parade’. The response that we get from the crowd is overwhelming and the people are so excited. They are a great promotional gift for kids & adults alike. 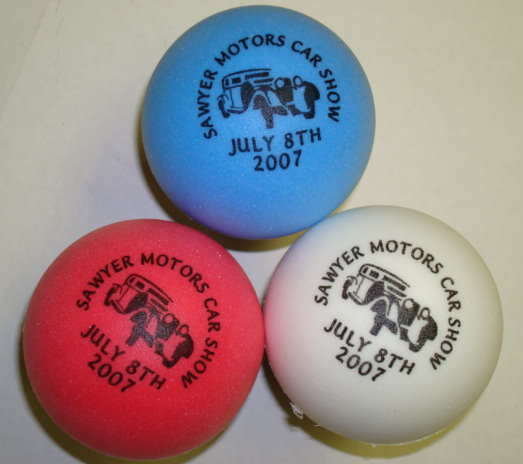 Our dealership is now known for the stress balls on the 4th of July within our town. We strongly feel that is an inexpensive way to get your business noticed and not forgotten. We look forward to a long standing relationship with your company. Great service and a great product! We have been using these stress balls for a few years now and we couldn't be happier with them. They work great as an icebreaker at our parent fairs. Everyone loves them, from teachers to students. Our representative is very attentive and always has our orders correct and on time. We work with many vendors and they are one of our favorite. 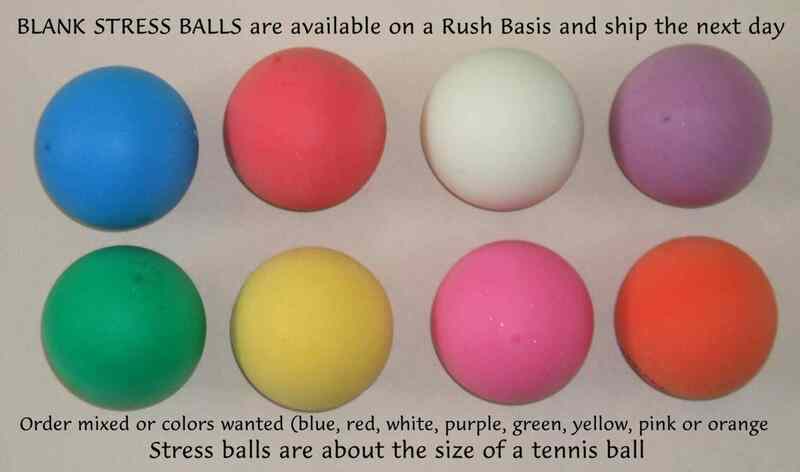 We recently contacted Allen at Promo Stress Ball with a rush request! He was more than accommodating and willing to help us out. The product arrived the next day as promised. Working with Alan was a treat and I would happily recommend him to anyone in the future who wanted to deal with a honest and reputable company. Wounded Frog Ltd. has done business with Tension Relievers for almost 16 years. In that time, we have always had the best service possible. They keep me on track for my standing orders and always check any orders for problems. No order is too complicated and every order is important to them. They are perfectly willing to work with you in order to get every order accomplished. Of course, having the best products at the best prices doesn't hurt either. I absolutely cannot recommend Tension Relievers highly enough. I hope to be a customer for another 16 years…and more.